Expectations of Motherhood: I only expected what everyone says – that it would be hard work and that we wouldn’t get get any sleep. Amazingly we’ve found both of these statements to be untrue with Elsie. It took so long to get pregnant, I didn’t want to have any expectations of her. I wanted to just enjoy pregnancy and enjoy her – and from 18 weeks pregnant I really did enjoy it. Before 18 weeks I’d been working in the Northern quarter and found it so hard because it seemed everyone smoked. People lingered, smoking in front of all the bars and cafes and the smell of smoke knocked me sick. 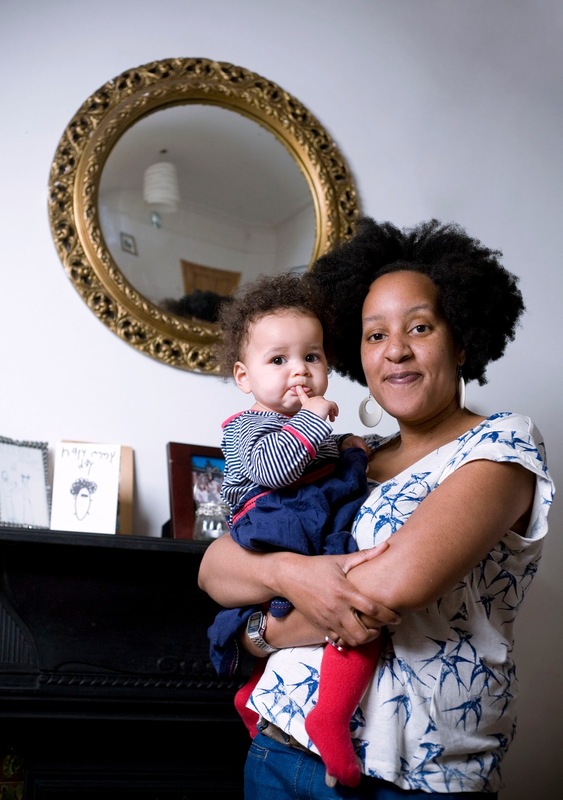 In preparation for motherhood I didn’t read books; I didn’t want to – I’d left up that to Andy. Until a week before she was born I was in total denial about the fact she had to come out though. I remember one day catching Andy smiling and asking him why he looked so happy. He said that he was really excited, and that’s when I realised how much more was involved in my role and that I had a lot more to come. Surprisingly though, the birth was quite enjoyable. I hadn’t expected it to be easy at all and thought I’d be screaming and swearing, but I only swore just the once! Reality of Motherhood: At first we found it easier to not follow a set pattern as such – I hate the word routine. We didn’t want our life to be dictated by naps, so at first we followed what Elsie needed, but still got out and did things together. She’s very chilled out, so we’ve taken each day as it comes, and it means that most of the time we just hang out and have fun. As she’s getting older we’ve decided that following a set pattern does tend to benefit Elsie now, so she goes to bed at the same time every night and as a result we all seem to benefit. Everyone said it was really hard to bring up children and so I’d imagined I’d be one of these people who didn’t get out of their pyjamas for months after giving birth. I’ve found that although being a mum isn’t easy, it seems to flow, like something I’ve always done. Taking your child home for the first time: I stayed in over night at the hospital. It had been a busy night and lots of babies had been born, so it took forever to be discharged. We finally went home on a Saturday night. It had been a warm day and everyone was outside pubs drinking and queueing up at taxi ranks, and I thought to myself, ‘I used to do that,’ but I was so excited to be bringing this tiny person home, I didn’t care about that anymore. The best/worst advice: The best advice I was given was to take each day as it comes. You learn that your baby changes everyday and you just have to follow them. I don’t remember any bad advice as such but I did find it frustrating that I never saw the same midwife twice – there was no consistency. I didn’t read any books because I was very wary. The hardest parts of being a mother: When they’re ill. At 4 months Elsie got an infection in her index finger and ended up in hospital. Her finger was red and swollen, but it didn’t bother her although it looked really bad. After the 3rd visit to the doctor blisters had developed, but the GP still wasn’t familiar with this particular infection and so didn’t want to administer antibiotics. We never expected after visiting the hospital to get it checked that we’d have to stay in for a week. I was still breastfeeding so had to stay in hospital with her. The doctors at the hospital weren’t sure what was wrong with her finger either so we had to stay in the room for a whole week while she had antibiotics intravenously. I remember I had to leave the room as they put the IV in her arm because to see her in pain would have been really hard. I was imagining all sorts of awful things. As she falls asleep and strokes me. We laugh at her everyday because she’s so funny and cheeky. I love watching her growing everyday and can’t believe how much she’s changed from birth. Hopes for your family: I hope that Elsie will be happy, that she’ll want to learn and have lots of friends. We’re so grateful for having Elsie but we never wanted her to be an only child. I was an only child and would’ve liked to have had a sibling to share things with. 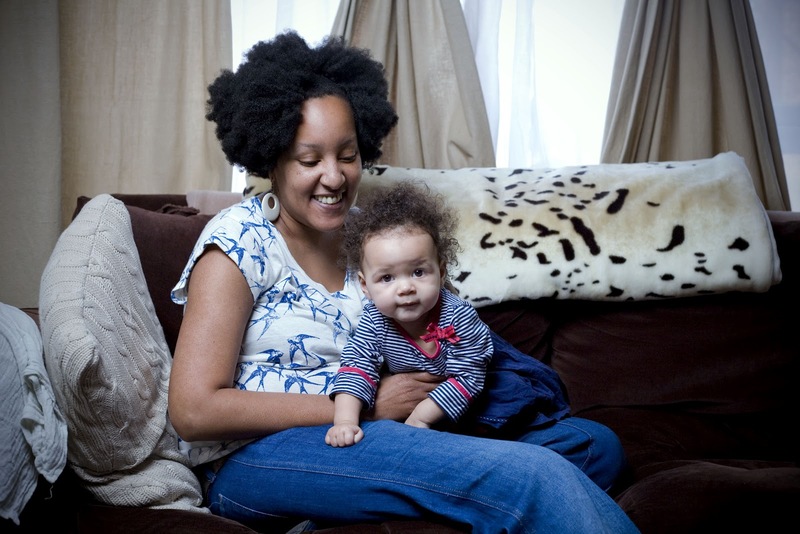 What advice would you offer to new and expectant mums: When you first come home from hospital and people want to visit give your visitors a specific time to call round. You’ll find that you’re not bombarded and you’ll get that time alone as a family. Don’t feel guilty about not reading parenting guides because in the end you’ll find your own way. With regards to fertility, doctors don’t really take you seriously until you’ve been trying for a year. I always say to people – even if they’re young – to get their fertility tested if they’re delaying having a family, because it’s not always that easy to get pregnant. We went through the NHS first and then did IVF privately when that failed. It took us about 2yrs of injections and blood tests (at one point every other day for a month) and then there’s the weight gain from the hormones – I went through a lot to get Elsie, so she is very precious.